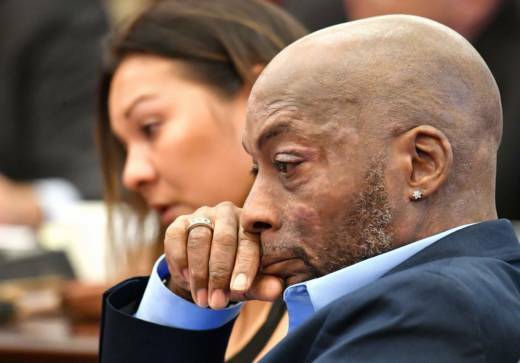 A San Francisco jury on Friday ordered chemical giant Monsanto to pay $289 million to a former school groundskeeper dying of cancer, saying the company’s popular Roundup weed killer contributed to his disease. Monsanto was acquired by the German company Bayer AG in a deal that was completed in June. The trial was expedited due to Johnson's terminal illness; doctors say he only has months to live. Johnson, 46, is a father of three who contended that Monsanto covered up research linking the weedkiller Roundup to cancer. Johnson was ultimately diagnosed with non-Hodgkin lymphoma in 2014. A number of countries have since banned or restricted the sale and use of glyphosate. In 2017, California added glyphosate to its list of carcinogens. Lawyers for Monsanto accused Johnson’s lawyers of “cherrypicking” studies and countered with findings by the Environmental Protection Agency deeming the product safe to use. They also told the jury that non-Hodgkin lymphoma takes years to develop and therefore, Johnson must have contracted the illness before he began working for the school district. "The scientific evidence is overwhelming that glyphosate-based products do not cause cancer and did not cause Mr. Johnson's cancer," Monsanto attorney George Lombardi said in court. A federal judge recently blocked California from requiring Monsanto to include a cancer warning label on Roundup weed killer, pointing to findings by government regulators that glyphosate is safe to use. While the outcome of the California trial won't affect the other lawsuits, it could serve as a barometer of how the others might go. “The health, economy, and future of America depends on eliminating exposure to toxic chemical products such as Roundup,” she told the paper. In an interview with the Guardian, Timothy Litzenburg, one of Johnson’s lawyers, called his client "incredibly brave." "Whatever happens … his sons will get to know that their dad was brave enough to go up against Monsanto completely alone, and first, before he died."